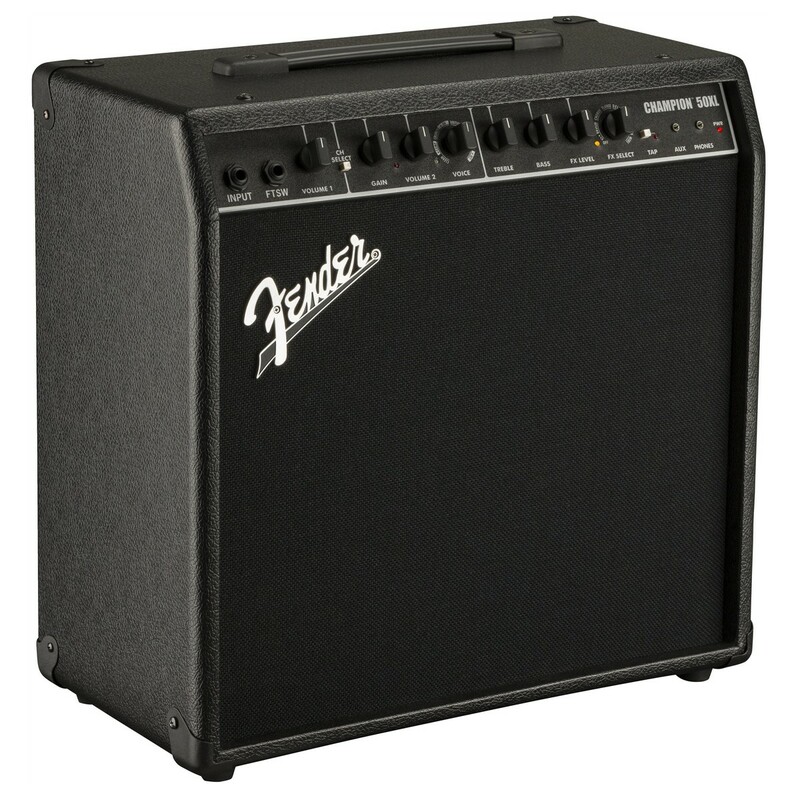 The Fender Champion 50XL Combo is designed to be easy to use, whilst offering an ‘unbeatable’ performance. This affordable amplifier is a limited edition model to the Champion series, adding a more aggressive appearance and output. The black on black cosmetic with black textured vinyl exterior and Fender’s classic logo is certain to look great from the stage to the rehearsal room. Four stomp box effects adds versatility to the amp’s 12 tones. Additionally, you can also enjoy the Champion’s 12 classic effects that range from vibratone to delay and reverb – ideal for experimenting with to achieve a truly personal live performance. Lastly, the Fender Champion 50XL is equipped with a 12” Celestion Midnight 60 speaker, adding a fuller tone, increased output, and versatility. Including 1/8 inch auxiliary and headphone connections the Fender Champion 50XL can be connected to media players such as laptops, MP3 players, smart phones and tablets for jamming along to all your favourite tracks. Additionally, the headphone connection is perfect for silent practice late at night. The compressor effect offers control over the dynamic range of the guitar’s tone, whilst increasing the output of sustain. Compressors also make the overall level of your playing style incredibly consistent. Additionally, the compressor effect is an idyllic solution for live performance as it prevents undesirable volume spikes and projects the more delicate nuances in your playing style.